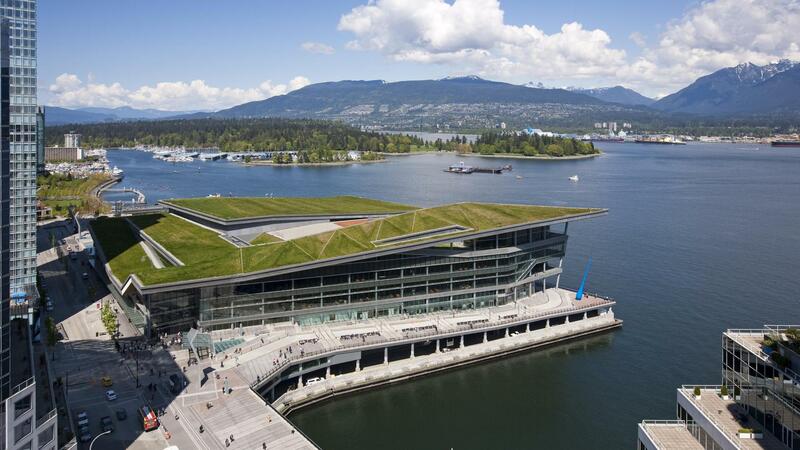 Located on the water’s edge, above the Vancouver Cruise Terminal, the Fairmont Waterfront is a first class modern hotel, with a beautiful curved dining room and patio, outdoor heated pool set on an upper terrace and health club. The rooms are gorgeous and they all have flat screen TVs and Ipod docking stations. 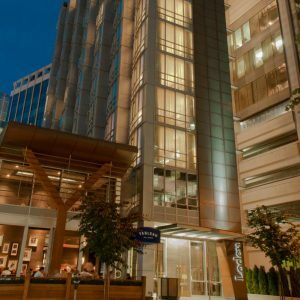 The hotel is close to Gastown, the shopping and entertainment district. Each guest room includes floor-to-ceiling windows with sweeping harbour and mountain views while other rooms take in the city’s shimmering skyline and overlook the hotel’s very own herb garden. All rooms have 47” HD flat-screen televisions, wireless internet access, Sealy Posturepedic pillow-top beds, in-room safe, 24 hour In Room Dining, personal Keurig coffee system and tea, large working desk with chair, exclusive Le Labo bath amenities. 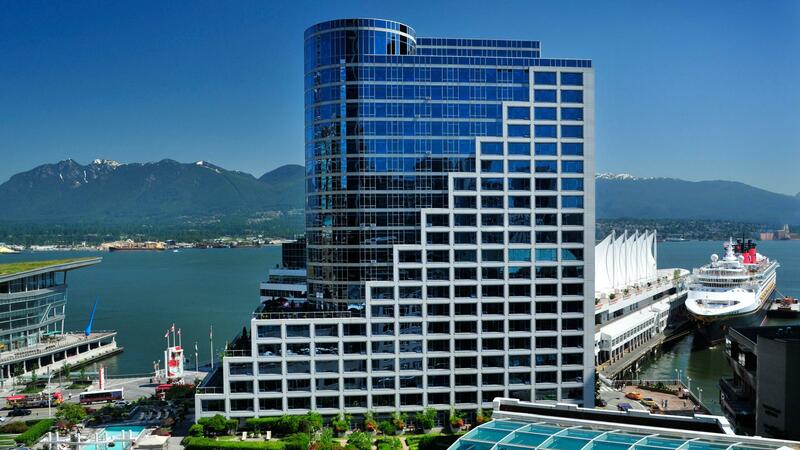 Deluxe Partial Harbor View Rooms – Elegant rooms with partial water-views overlooking Vancouver’s working harbor, coastal mountains and Canada Place Cruise Ship Terminal. 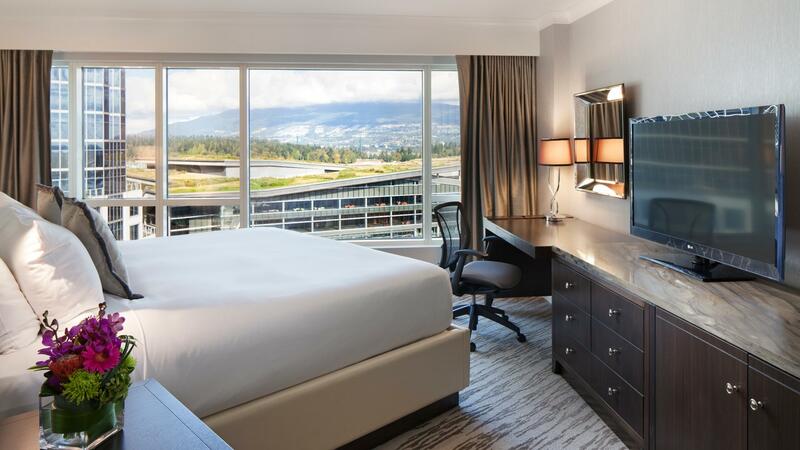 Signature Harbor View Rooms – Premium East-facing water-view rooms offering spectacular views of the coastal mountains and Vancouver Harbor. 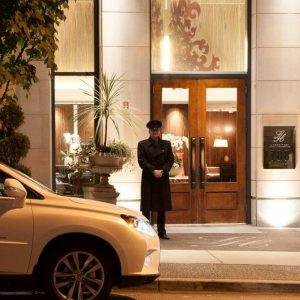 Fairmont Gold – This is the luxurious Concierge level. 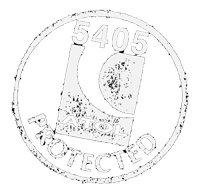 Attentive Concierges provide the finest level of service and commitment to hospitality excellence. 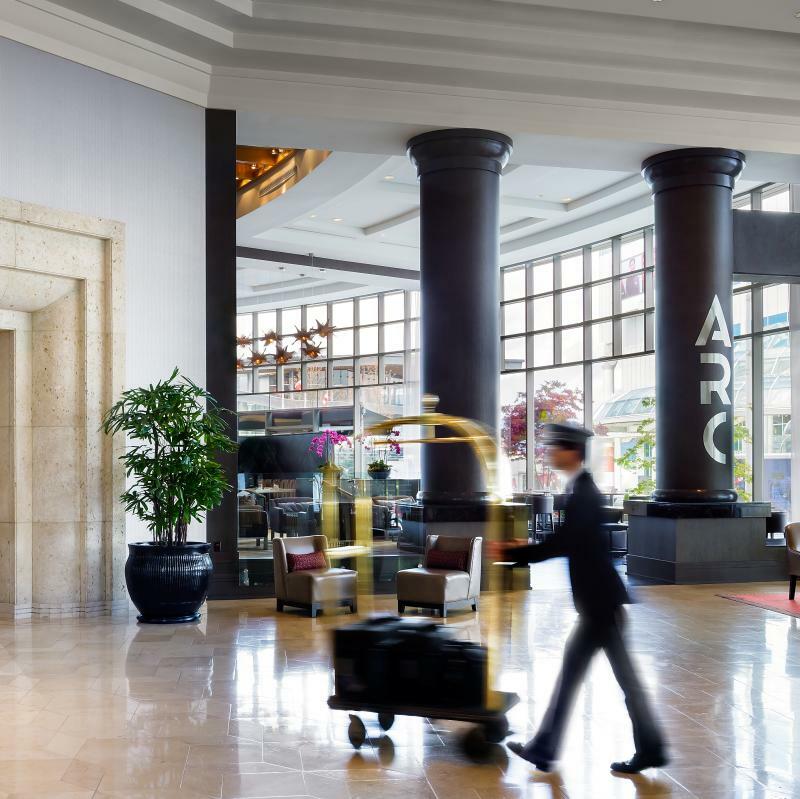 Guests enjoy private check-in and check-out services. 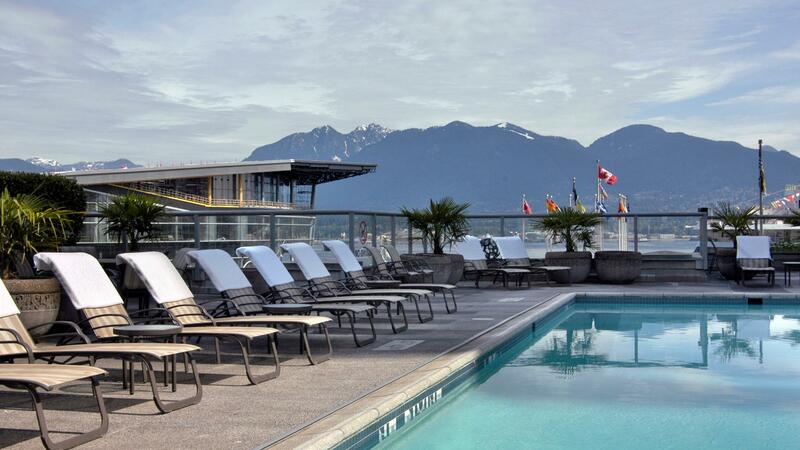 Guests can also access a comfortable private lounge featuring a spacious terrace with views of Stanley Park and the cruise ships. 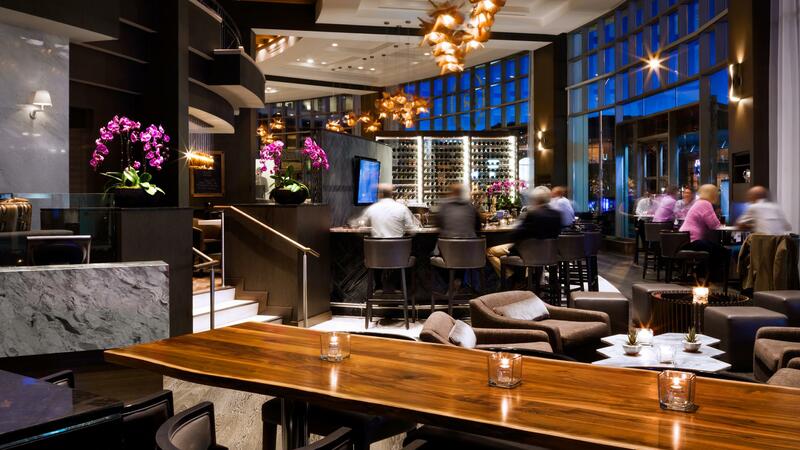 The lounge offers cocktail hour hors d’oeuvres and a complimentary deluxe continental breakfast. 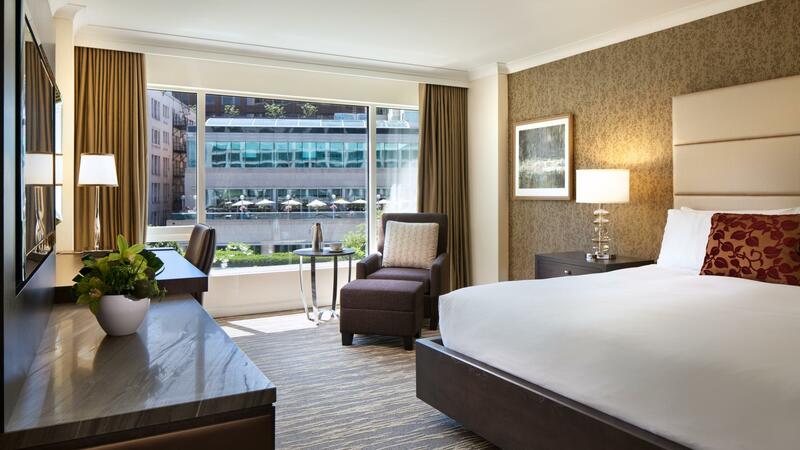 Spacious rooms and in a superb position in the centre of Vancouver.